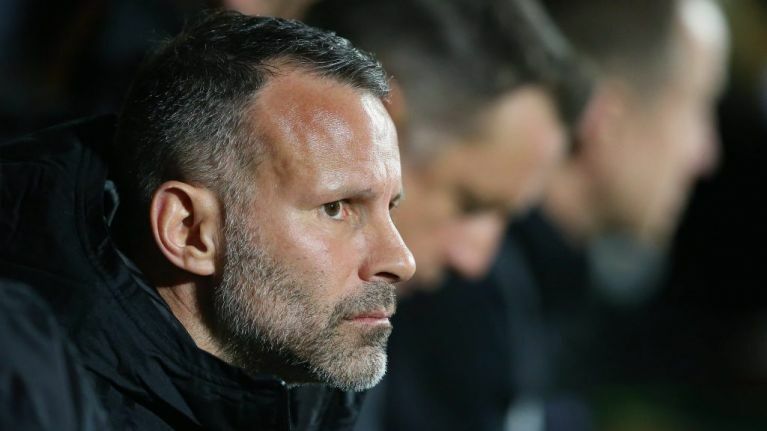 Wales manager and former Manchester United winger Ryan Giggs has opened up about his 'intense dislike' of Arsenal, and four Arsenal players in particular, during an interview with the Daily Mail. Surprisingly, classic shithouser Martin Keown is nowhere to be seen with Giggs instead focusing his hostility on Patrick Vieira, Emmanuel Petit, Dennis Bergkamp and even Robert Pires for reasons that range from 'completely ridiculous' right the way through to 'nonexistent'. Explaining his dislike, Giggs said: "I didn’t like Arsenal. I didn’t like Vieira ’cos he was dirty and got away with murder." At this point, you're probably thinking that seems reasonable given Patrick Vieira's duty as a midfield enforcer for United's main rivals at the time. But then he goes on to explain why he didn't care much for Vieira's midfield partner, Emmanuel Petit. "I didn’t like Petit because he had long hair." Fantastic Ryan. Can't argue with that. And this is before we get to his opinion on the universally loved Bobby Pires, who he dislikes for absolutely no reason at all. "I didn’t like Pires even though when you meet him now he’s actually dead nice. I wouldn’t even look at them, didn’t know them and didn’t want to. I wouldn’t allow myself to rate any of them." On Bergkamp, Arsenal's Dutch talisman, Giggs explained: "I didn't like Bergkamp... Nah, I told myself he wasn’t as good as Eric Cantona. I wasn’t really that kind of person. It wasn’t really me. But you had to get that in your head, that intense dislike. It was pure motivation. In fairness to Giggs, he managed to channel that animosity into one of the finest FA Cup goals of all time, anticipating a sloppy pass from Vieira and intercepting in his own half before slicing through the Arsenal backline like the proverbial knife through butter. The finish, trounced high into the net above a despairing David Seaman, is the icing on the cake. The less said about the celebration and the state of Ryan Giggs's body hair, however, the better.